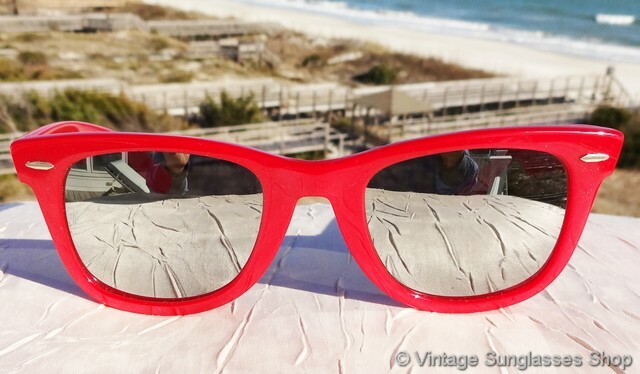 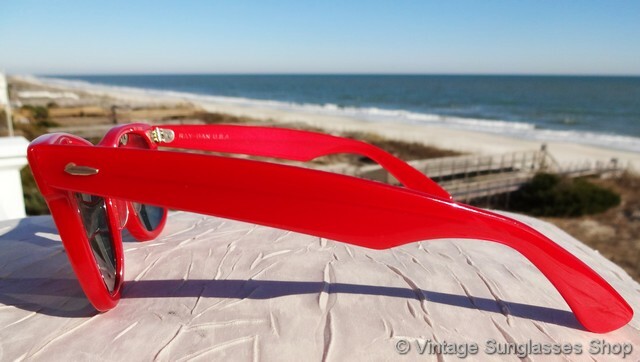 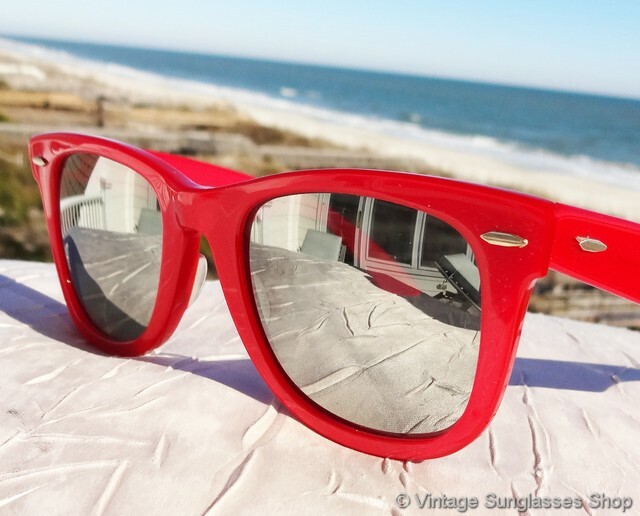 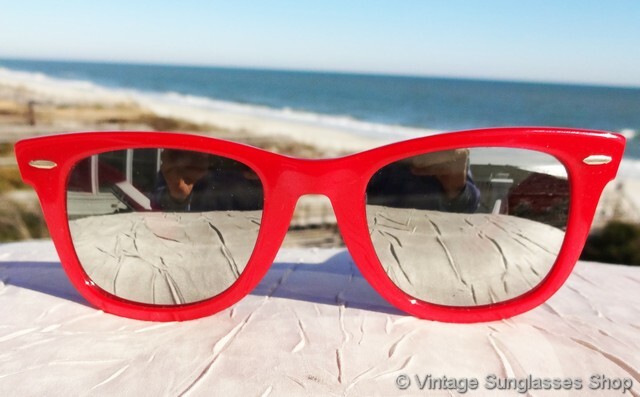 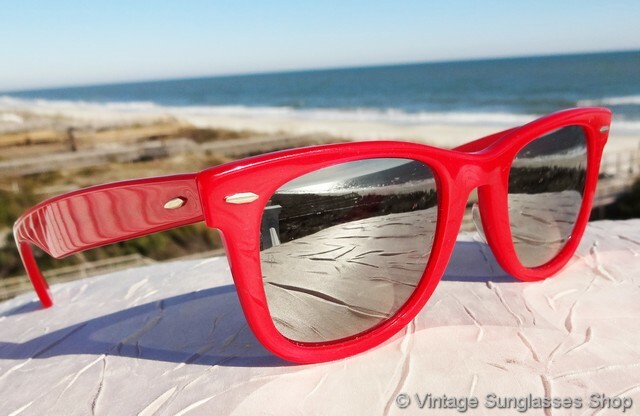 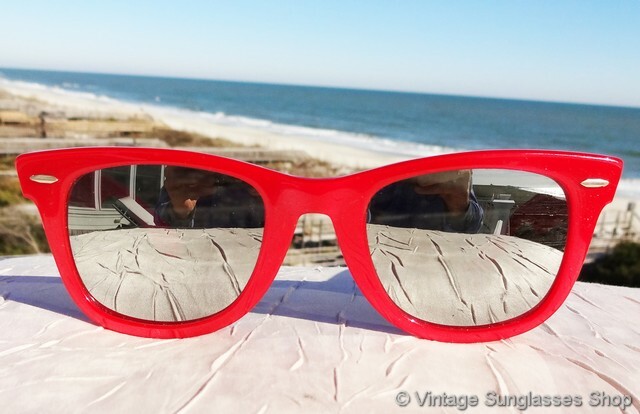 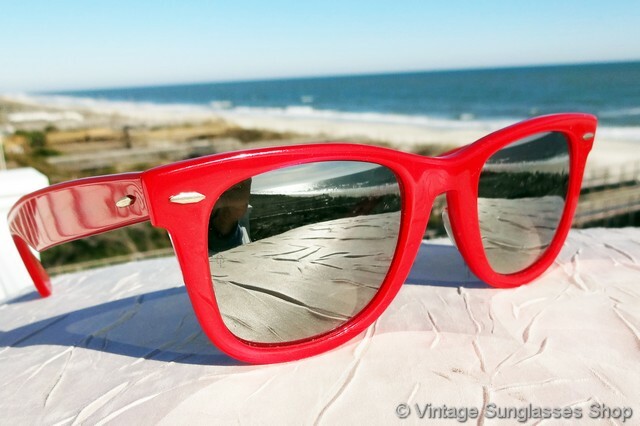 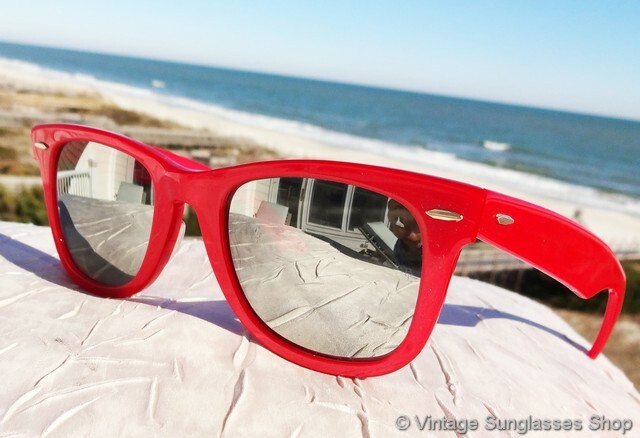 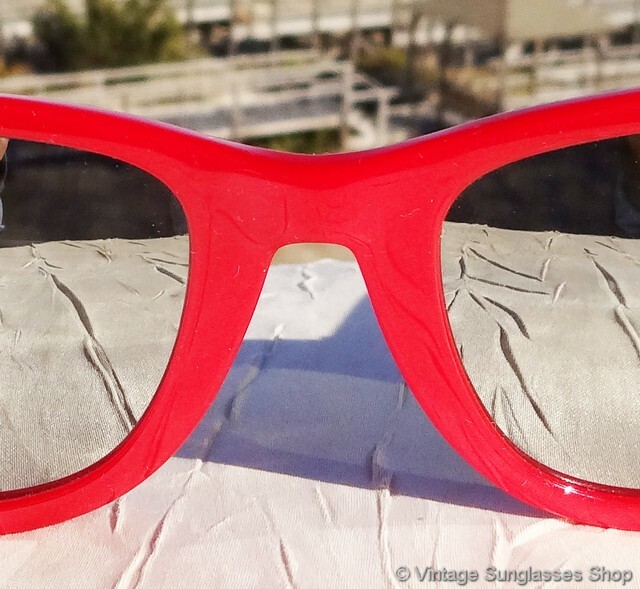 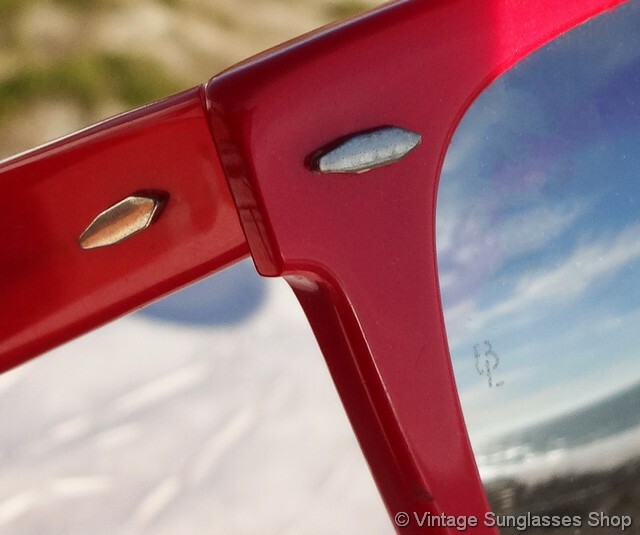 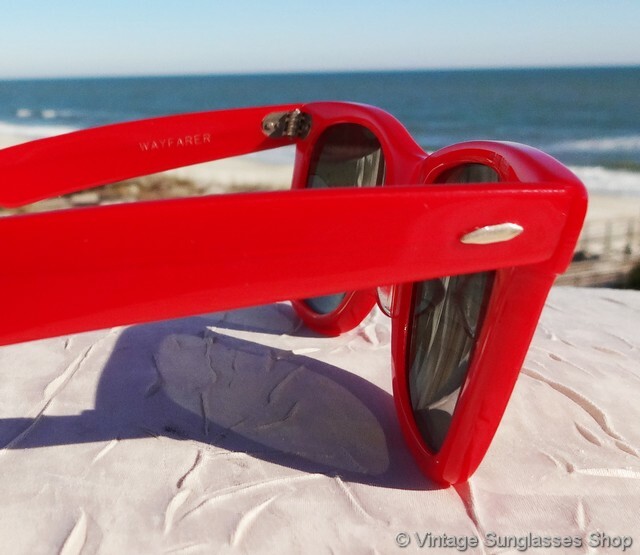 Vintage Ray-Ban Wayfarer 5022 sunglasses feature the very hard to find red Wayfarer frame and even harder to find G-31 silver mirrored lenses that combine for one of the best looks of any vintage Ray-Ban Wayfarers. 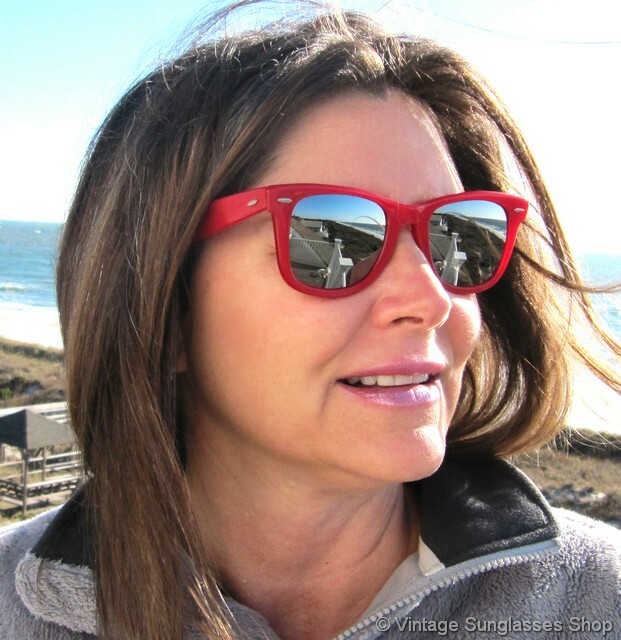 The highly reflective Bausch & Lomb G-31 mirrored lenses do an unparalleled job of reflecting glare that can harm your eyes - not to mention looking super cool at the same time. 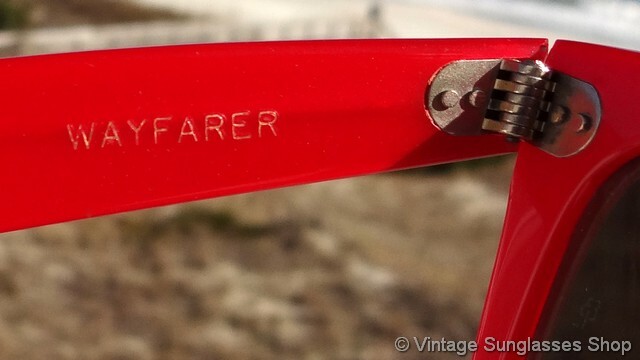 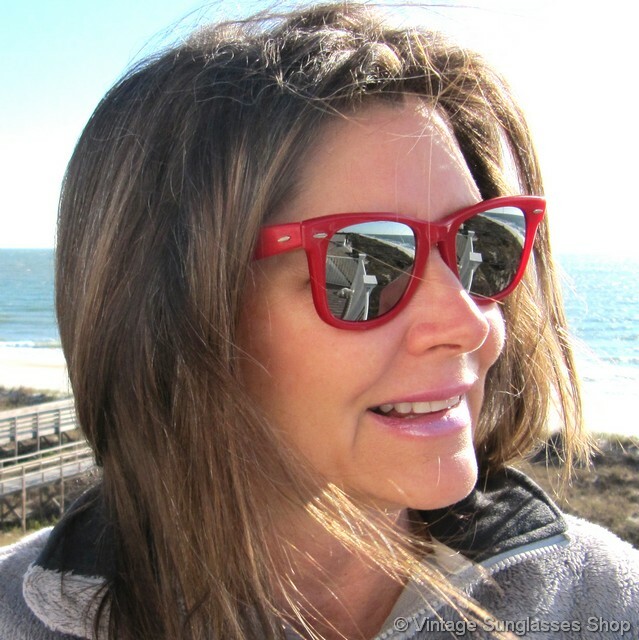 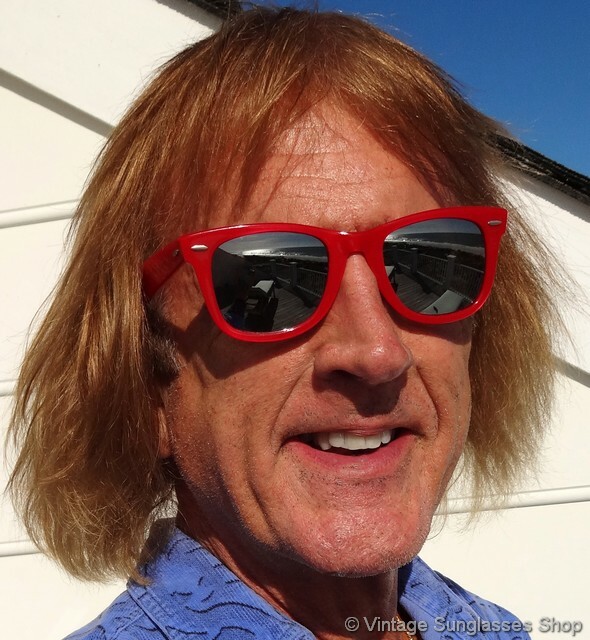 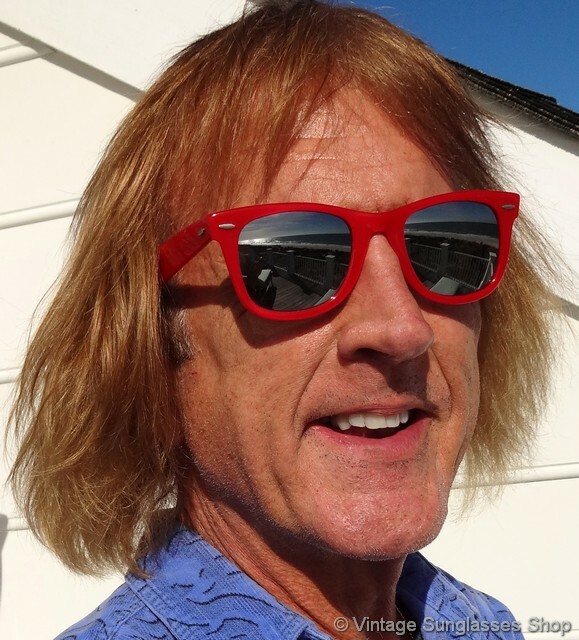 The striking red nylon Wayfarer frame looks great with the mirrored lenses, and the original Wayfarer 5022 size and shape is the one you want for the first and most original of the many Ray-Ban Wayfarers produced over the years. 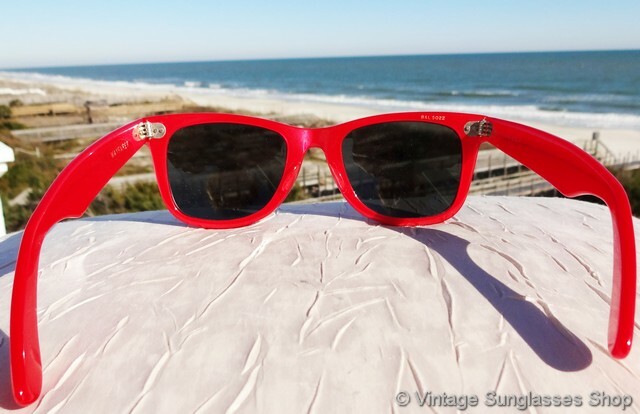 The unisex Ray-Ban Wayfarer 5022 frame measures approximately 5.5" temple to temple, and the lenses measure approximately 1.875" x 1.5" at the widest points with both lenses laser etched BL near the hinges. 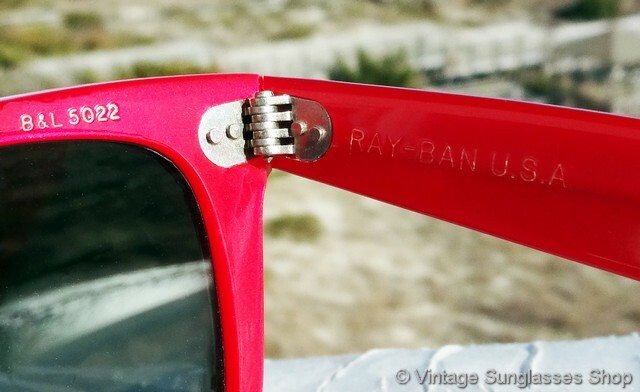 The inside of one ear stem is marked marked B&L Ray-Ban USA while the inside of the other stem is impressed Wayfarer, and the rear of the frame above the right lens is impressed B&L Ray-Ban 5022.